Kevin Bacon and James Purefoy star in this terrifying thriller from Kevin Williamson about an escaped serial killer, Joe Carroll (Purefoy), and the psychologically scarred ex-FBI agent, Ryan Hardy (Bacon), who returns to stop him. Working closely with an FBI team, including cult-specialist Debra Parker (Annie Parisse) and sharp upstart Mike Weston (Shawn Ashmore), Hardy unearths that Carroll was covertly communicating with a network of followers while in prison. BURBANK, CA (October 3, 2013) - Almost as dedicated as Joe Carroll's "followers," television fans tuned in each week for the premiere season of The Following, making it the highest-rated new program of the 2012-13 television season. Now, fans can relive the thrills as Warner Bros. Home Entertainment (WBHE) releases The Following: The Complete First Season on DVD and Blu-rayTM Combo Pack January 7, 2014. An instant hit with viewers, The Following ranked as the #1 drama series (new or returning) on all of network TV among Adults 18-49! The Following: The Complete First Season includes all 15 suspenseful episodes and is available to own for $39.98/$49.99 SRP. The release includes over three hours of bonus content including five behind-the-scenes featurettes, unaired scenes, a season finale commentary and more. 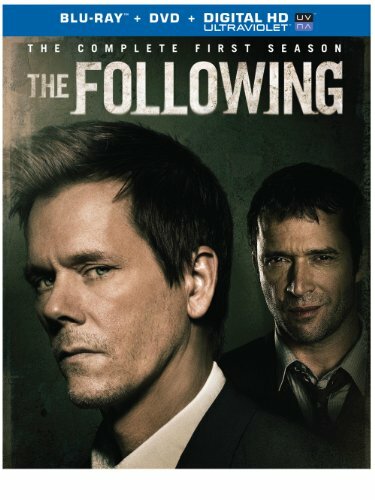 Golden Globe winner/Emmy(R) nominee Kevin Bacon and James Purefoy (Rome) star in this terrifying thriller from Kevin Williamson (The Vampire Diaries, Scream) about an escaped serial killer, Joe Carroll (Purefoy), and the psychologically scarred ex-FBI agent, Ryan Hardy (Bacon), who returns to stop him. Working closely with an FBI team, including cult-specialist Debra Parker (Annie Parisse) and sharp upstart Mike Weston (Shawn Ashmore), Hardy unearths that Carroll was covertly communicating with a network of followers while in prison. Challenged with an ever-growing web of murders orchestrated by the diabolical Carroll, the FBI quickly learn that they are up against not one, but an entire cult of killers. Created by Kevin Williamson, who executive produces along with Marcos Siega (Dexter, Damages, True Blood), The Following stars Golden Globe winner Kevin Bacon (A Few Good Men, Footloose, JFK), Natalie Zea (Justified, Under the Dome), Annie Parisse (Person of Interest, Law & Order), Shawn Ashmore (X-Men, Smallville), Valorie Curry (Twilight Saga: Breaking Dawn - Part 2), Nico Tortorella (Scream 4), Adan Canto, Kyle Catlett and James Purefoy (Rome, Camelot) as Joe Carroll. From Bonanza Productions Inc. in association with Outerbanks Entertainment and Warner Bros. Television, The Following returns for season two in January 2014, airing Mondays 9/8c on FOX. "The Following: The Complete First Season DVD & Blu-Ray Combo Pack is one of our most highly-anticipated titles for 2014," said Rosemary Markson, WBHE Senior Vice President, TV and Special Interest Marketing. "Fans will get to re-live their favorite suspenseful and chilling moments from season one, while enjoying over 3 hours of unbelievable bonus features." * From a Dark Place: Maximum Episode Mode of Extended Pilot. About Warner Bros. Home Entertainment, Inc.
Warner Bros. Home Entertainment (WBHE) brings together Warner Bros. Entertainment's home video, digital distribution, interactive entertainment, technical operations and anti-piracy businesses in order to maximize current and next-generation distribution scenarios. An industry leader since its inception, WBHE oversees the global distribution of content through packaged goods (Blu-ray Disc(TM) and DVD) and digital media in the form of electronic sell-through and video-on-demand via cable, satellite, online and mobile channels, and is a significant developer and publisher for console and online video game titles worldwide. WBHE distributes its product through third party retail partners and licensees, as well as directly to consumers through WBShop.com.